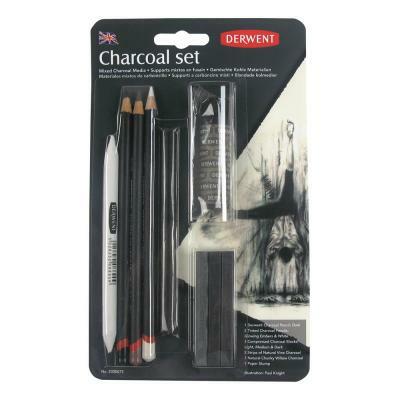 1 x Derwent Charcoal Pencil for dark intense lines. 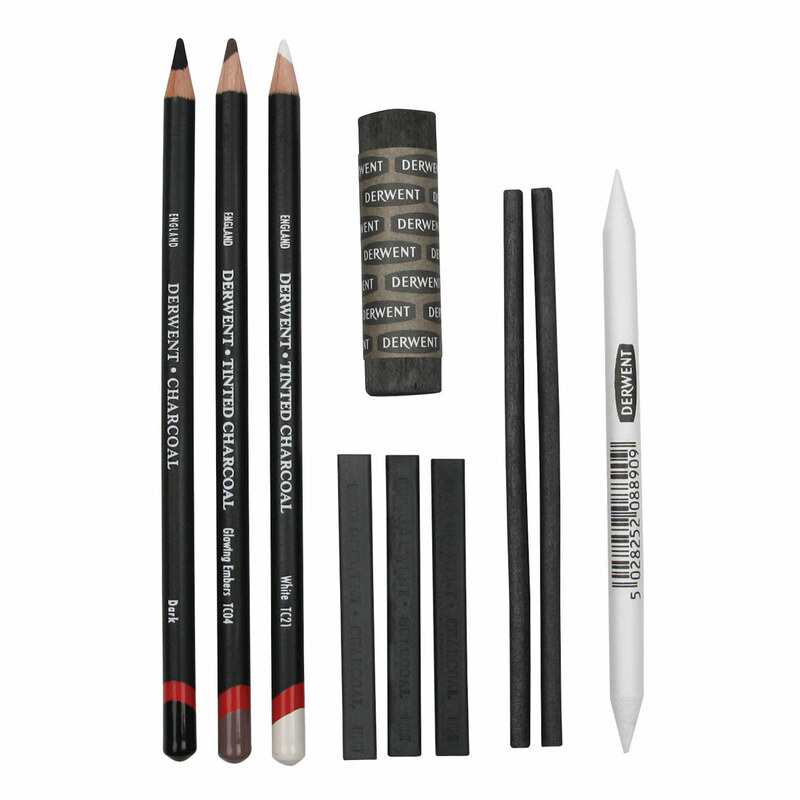 2 x Tinted Charcoal Pencils to add a bit of natural colour and highlights. 3 x Compressed Charcoal Blocks for larger drawings. 2 x Strips of Natural Vine Charcoal for organic mark making. 1 x Natural Chunky Willow Charcoal to make broad expressive strokes. 1 x Paper Stump for effective blending.